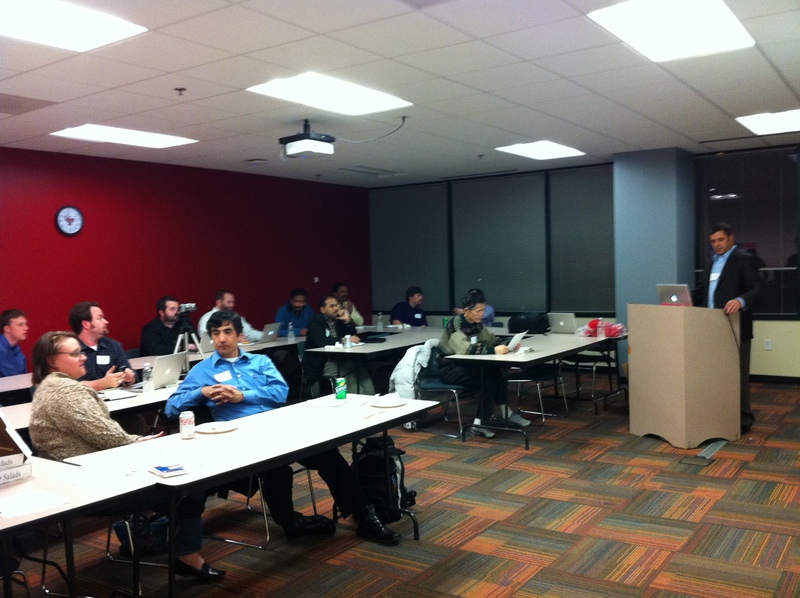 The Atlanta JBoss User Group kicked off with a much greater than expected turnout. Developers from the Atlanta area poured in to learn the latest in JBoss technologies. In this, the very first, meetup of the Atlanta JBoss User Group, Wesley Hales reviews the current landscape of HTML5 and the mobile web. He shows attendees how to setup a POH5 (HTML5+RESTful) mobile web app and how to deploy apps to openshift using the newly available (M5) features in JBoss Tools. Apologies for the chopped up video.. the camera would automatically turn off after a certain amount of time.